Sign up at janice@wildsouth.org or 256-974-6166. All participants must sign up in advance. 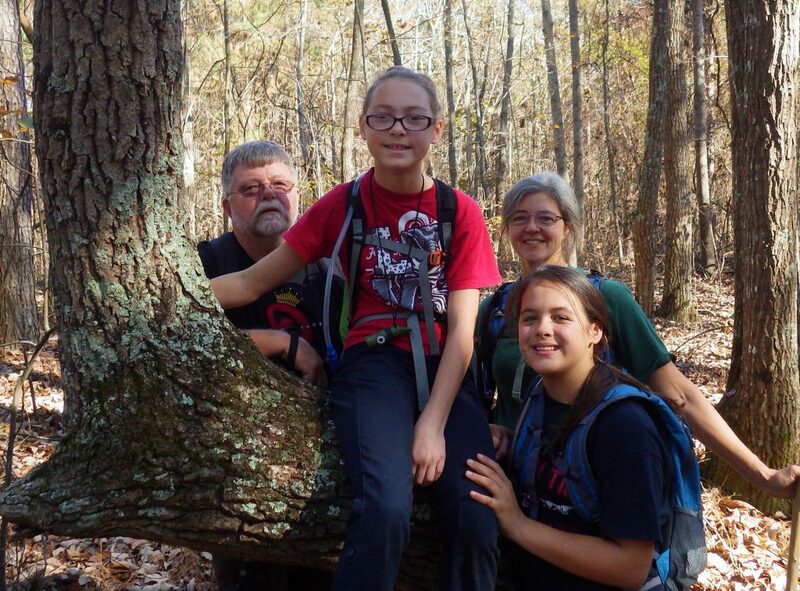 Group size in Sipsey Wilderness is strictly limited to 10. All ages welcome; read description carefully to determine if this hike is appropriate for you or your children. The hike to Rock Garden Falls will begin on Gum Pond Motorway on the northeastern edge of the Sipsey Wilderness. Hikers will proceed onto a tributary of Hagood Creek through upland and cove hardwood forest. There are no trails but the understory is fairly clear and the terrain is not difficult to traverse. Interesting features on the hike are tall bluffs, a sinkhole, dry waterfalls and rock formations. Unless there is a good amount of rain before the day of the hike (not expected) all waterfalls, including Rock Garden Falls, will be dry. Expect some moderate elevation change, roots and rocks underfoot covered by dry leaves. Ages 8 years and over. Beginning at Randolph Trailhead on the southern border of the Sipsey Wilderness, this hike will proceed along the ridge on Trail 202, through the Johnson Cemeteries then drop into the Sipsey Fork canyon. At the Sipsey Fork, hikers will be led upstream on Featherhawk Creek through lush, green hemlock forest for a short distance to Featherhawk Falls, which will be dry. Distance is the most challenging part of this hike. The trail is clear and well-maintained.